Have been wanting to do some two sided cnc work. Though to my self what would be a complicated job, yet very rewarding one…then decided to do a colt 45. Turned out pretty good. Wished i would of used higher quality of wood, but think it got the job done. 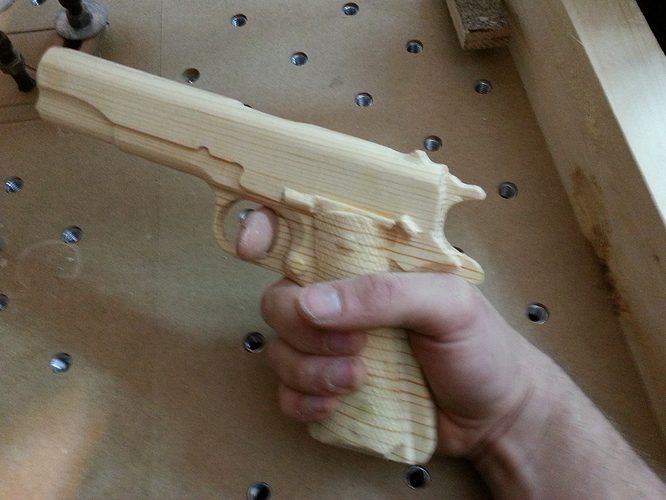 epic man, very nice, I want to do some nice wooden grips for my pistol too. Don’t put your finger on the trigger until your ready to shoot. you might be right! 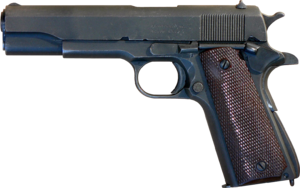 I dont know jack about guns lol. Incorrect finger on trigger placement. At least the hammer is down (which means it cannot be fired). Looks like the safety is engaged. Metal or wood it’s still pretty dangerous. Wouldn’t want a 45 caliber splinter would you. Safety first mate! absolutely brilliant project… GREAT WORK!! Where did you get the file from? 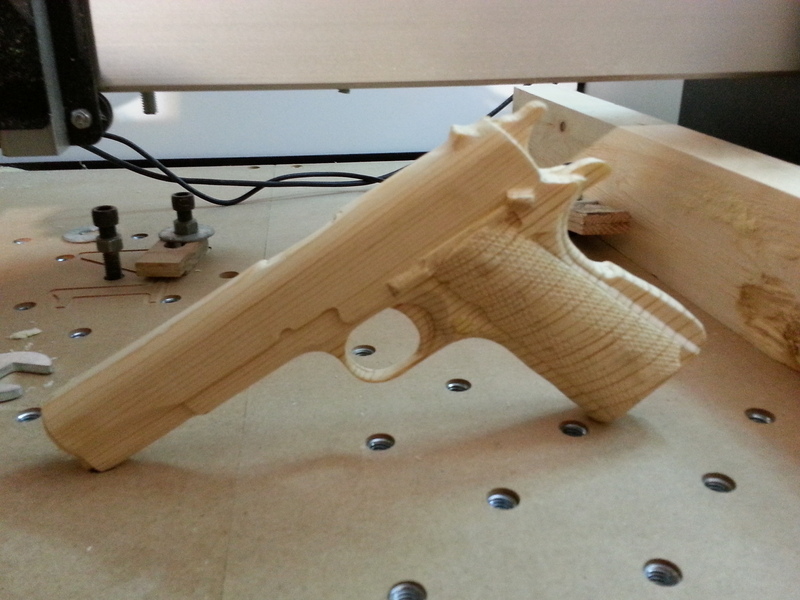 You can find lots of 3D guns on Thingyverse and other 3d printer sights.